When I was 20, I blissfully lived in a cocoon on the Pittsburgh, Pennsylvania campus of Carnegie Mellon University (CMU). All aspects of life were contained to an area a few miles wide at the edge of the busy city, a perfect introduction to real life for the aptly nicknamed “Ivory Girl”. My roommate and confidante, Sujatha, and I were both juniors and moved into an efficiency apartment on campus. Aside from when I was at home with my family, CMU was the first place I honestly felt like I belonged and could be myself. That’s kind of sad really. For almost 20 years of my life, I felt like a fish out of water (with most people). I had friends in high school, usually one close friend from each teenage group—jocks, geeks, arts, cool kids—but it was hard for me to fit in. I am thankful that I had friends like Doris, Lisa, and Chris to help me make it through high school. They probably have no idea how much their friendships meant to me. Before I even began my freshman year in college, I belonged to a group of aspiring engineers invited to participate in a summer program. Then, I belonged to a suite and a floor (in a dorm) of diverse young women who taught me about life—growing up, “girl stuff”, cultures, religions, families, food, and friendships. (There are too many of you wonderful women to name, but you know who you are!) Later, I belonged to a Greek fraternity of not-so-typical brothers, who looked out for me, and the best group of little sisters, who helped me make it through some difficult times. In my junior year, I met a couple of boys, and I quickly belonged to a small group of Massachusetts transplants. I am so glad they introduced me to my dear friend Christine. The Carnegie Mellon campus was full of friendly, driven (dare I say) geeks ready to work hard and succeed. Education was a top priority for most of those folks, and our school delivered. During our tenure, a national magazine reported that CMU assigned more homework than any other college in the country. I knew some students who didn’t need to study, but most of us took only one night off a week and studied practically round-the-clock for the other six days. Today, my children regret the fact that I belonged to that homework club. During our junior year, I belonged to a project team of Type A individuals. That group of students was impressive. Our professors pushed us to limits we didn’t realize we could reach and expected more of us than we thought possible. Dr. Carley, one of our college’s well-known icons, required us to attend to the details—miss a page number, lose one point; no backup plan for a technology failure, lose a grade. The pressure was overwhelming, but we believed our struggles would become rewards in the end. During our senior year, our professor broke our extraordinary team into two. I became the project manager of the team tasked with building a computer application for the United Way and with teaching their administrative assistant, a grandmother who had never touched a keyboard, how to use the system. We worked 24/7 throughout the week before our final presentation. Each time that I tried to sleep, a team member would call to let me know a computer was available in the computer lab, a document was ready for editing, or a car was available to drive us to the copy store. Most of us were awake for four days straight! After three days with no shuteye, I made an executive decision and sent our presenter, Marva, home for a good night’s rest. Our hard work paid off. We earned an A+ for our results-oriented product, and we helped a non-profit organization service its customers and train its staff. When I graduated in 1989, I was forced to leave the cocoon. Thankfully, I carried a degree, tons of experience, professional standards, and a job. Perhaps more importantly, my bags were packed with my memories, my friendships, as well as a sense of belonging and self-confidence. Now, a whole career later, I use those CMU experiences and memories to help new clients—people who want their family members to know they belong, have been heard, and will be remembered. And just in case you were wondering, I still keep in touch with my pre-20 and @20 friends via Facebook and phone. Marva and I still work together as independent entrepreneurs who remind each other weekly If we could get through Carnegie Mellon, we can do anything! As I said above, it’s important to have an objective friend or advisor to pull you out of the “Memoir Madness” trap. Now, I’m off to get Marva’s opinion before I publish this Me@20 blog post! please contact me to schedule a Personal History Discovery Conversation. Where I lived @20: Most of the year, I lived in Pittsburgh, Pennsylvania USA. 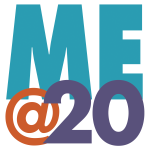 What I did @20: I was studying Information and Decision Systems at Carnegie Mellon University. What I dreamt of: My plan was to get a job making enough money to be completely independent, get married, have kids, and retire. But, when I allowed myself to, I dreamt of retiring and helping seniors write their autobiographies (true story). What did you learn at 20 that changed the trajectory of your life? What were YOU like at age 20? Create your own Me@20 blog post today or share the Me@20 Questionnaire in your social networks. * Click Here to go to my Facebook Page and answer your own Me@20 Questionnaire. Don’t forget to “Like” and “Share” the page while you are there to receive automatic Facebook messages. Be the one who taught someone they belonged, share your story…before it’s too late. so all generations know they belong, have been heard, and will be remembered. Contact her today to schedule a Personal History Discovery Conversation. * If you learned something new or were inspired by this article, please print and share or forward this article with/to family and friends who want to honor their parents and empower their children and grandchildren. * If a friend sent you this article and you would like to receive your own copy in the future, then please click here to subscribe. Rest assured, I will NEVER rent or sell your email address. * If you want to save a loved one’s story and he/she is reluctant to participate, then please register to receive my complimentary report , Have You Discovered Your Buried Family Treasure? 10 Myths That Prevent Families from Connecting Forever. * Click Here to read more Sunday Dinner Stories articles. * Click Here to contact Michelle Beckman to schedule or learn more about a Personal History Discovery Conversation. * Click Here to go to my Facebook Page to ask questions and receive more frequent information. Don’t forget to “Like” the page while you are there to receive automatic Facebook messages. * If you have a personal history or family history topic about which you would like more information, please feel free to contact me. I will answer you directly and/or write an article for a future newsletter. Will Your Family Share These 20 Stories On Thanksgiving Before It’s Too Late?